A unique softgel formulation containing high levels of CoQ10, carotenoids, gamma-tocopherol, and DeltaGold® tocotrienols. Purchase this product now and earn 7,990 Reward Points! 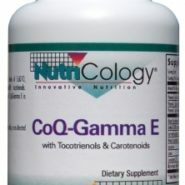 A unique softgel formulation containing high levels of CoQ10, carotenoids, gamma-tocopherol, and DeltaGold® tocotrienols. 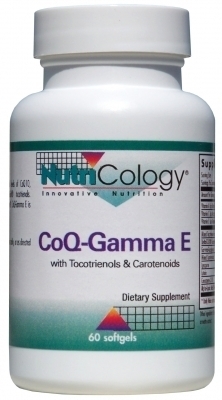 Developed by Martin Pall, Ph.D. and NutriCology®. Suggested use: As a dietary supplement, 1 softgel one or two times daily, or as directed by a healthcare practitioner. Also see further suggestions for use from Martin Pall, Ph.D., for the combined use of this formula with other antioxidants. Other ingredients: Rice bran oil, gelatin, glycerin, water, yellow beeswax, soy lecithin, annatto extract.